Nothing much to really say here. I’ve yet again failed to come up with a title but that’s all right. It will let the viewer decide what they like about this painting rather than be influenced by the words I assigned. I’m really enjoying how the violet and turquoise blue look together. Overall very pleased with how this turned out even though I was experimenting for part of it. And I’m getting comfortable with the 5×7 size. It gives a bit more room than 4×6 but doesn’t feel like I have so much space to fill if I were doing 8×10 or 9×12. This entry was posted in Art and tagged 30-in-30, Abstract, Watercolors on January 7, 2016 by Lori. Days 4, 5, and 6 – all together now! So in my usual timely fashion, I’m behind on posting my daily paintings. I have such good intentions, but then my book and comfy chair downstairs tempt me when I get home from work. Tonight I was ambitious though! As this post title suggests, I also have day 6 to share. I was in a purple mood so went with the lovely violet color, supplemented by scarlet and turquoise blue. 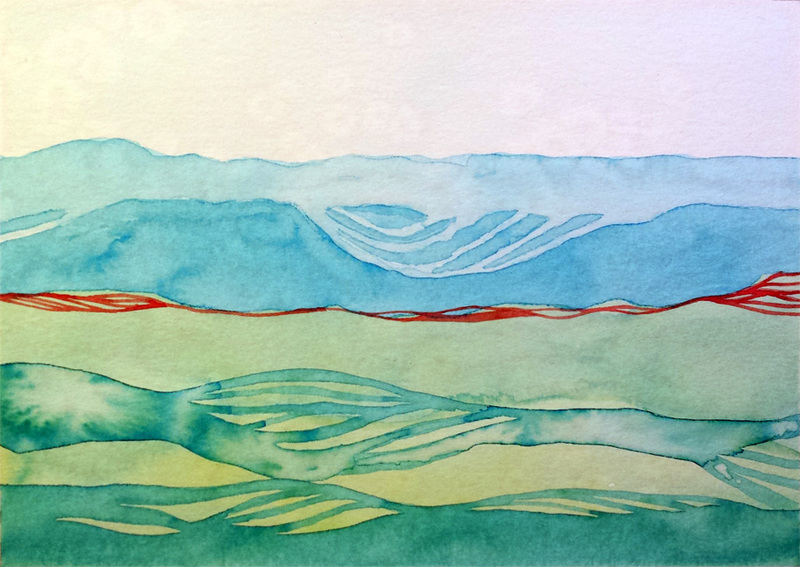 I started subtle and then worked in layers as usual, but adding the new twist of flowing lines along the edges. The center line of scarlet just feels right, as does the title. Enjoy! I’m waiting for day 7’s painting to finish drying before I decide whether it’s done or not. I think it is, but still need it to dry completely before I can take it off the board. 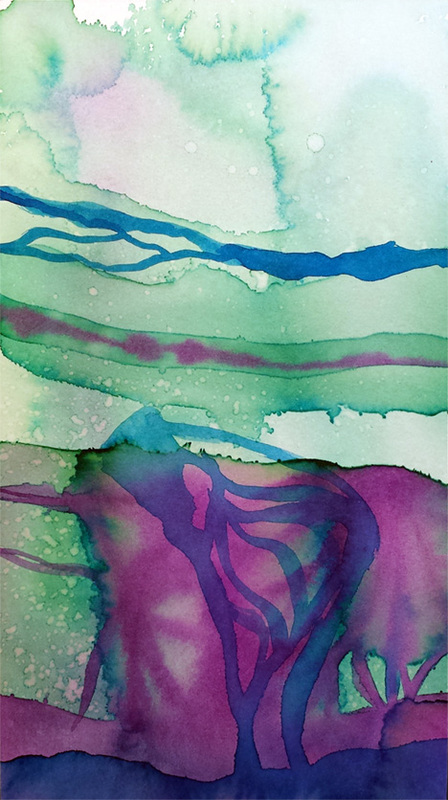 This entry was posted in Art and tagged 30-in-30, Abstract, Layers, Watercolors on January 5, 2016 by Lori. Unlike yesterday’s painting, the title for Day 3 came to when I was almost done. 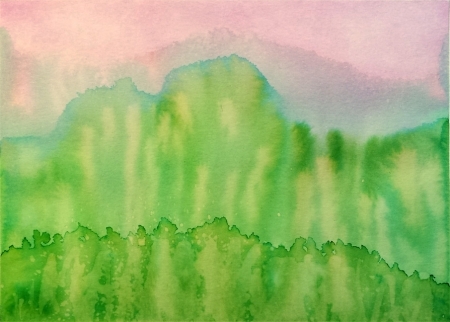 I had been planning to do something for my Layers series in my usual greens and turquoise blue, but I ended up putting a bit of a twist in there. As the green layers were drying, I had the impression of water against land. 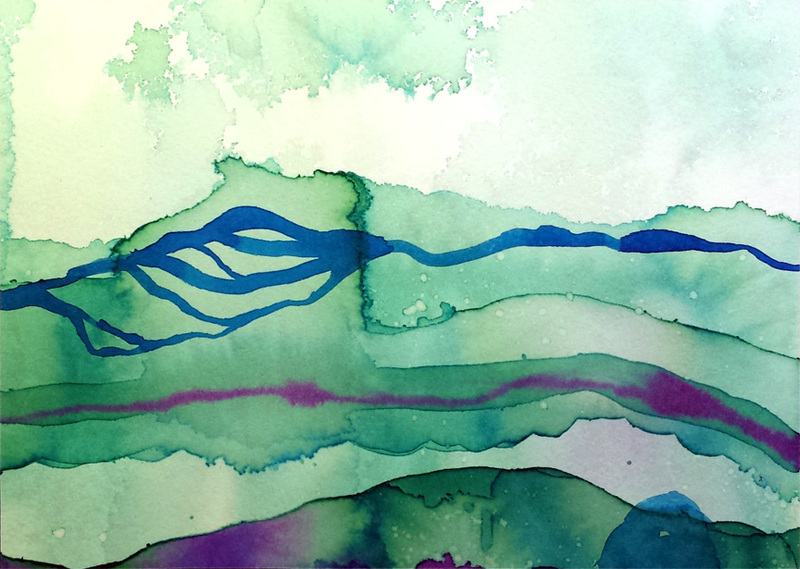 When I added the two additional blue layers, the work “Tidal” just came to me and I thought it fit perfectly. I hesitated before adding the brown layer, but felt the piece needed an accent of some sort and I think it works. This entry was posted in Art and tagged 30-in-30, Abstract, Layers, Watercolors on January 3, 2016 by Lori. When trying to think of names for my paintings, I usually come up blank (and I’ll probably name one of my pieces “Blank” one of these days). Sometimes, nothing comes to me when looking at the piece. Sometimes though, a name just pops into my head and in some cases, it sticks even if the final painting seems to have nothing to do with the title. That’s still fine with me, because if I come up with a title first and then work, that title influenced what I painted and is still part of the piece, even if the two don’t seem to go together. For Day 2, the title “Mist” came to me as I was about mid-way through. I liked it enough to want to work with that in mind as I continued painting and while it might not be a perfect fit after all, I still like the title enough to keep it. This entry was posted in Art and tagged 30-in-30, Abstract, Watercolors on January 2, 2016 by Lori. Here’s to another great year of fun and creativity! I’ve decided to start off 2016 with another 30-in-30 Painting Challenge, once again hosted by Leslie Saeta on her blog. It’s exciting to be one of hundreds of artists taking part. Here is my piece for Day 1. It started out as a planned piece to go with the Retro-Circles series and ended up in the String Theory line because it wasn’t working at first, so I threw water and threads at it and got this as a result. I like the limited colors (pumpkin orange, scarlet, saddle brown) but overall, this didn’t go as originally planned. 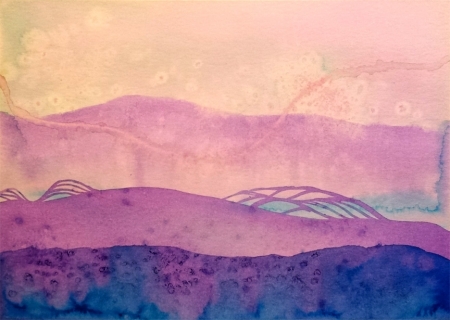 This entry was posted in Art and tagged 30-in-30, Abstract, Watercolors on January 1, 2016 by Lori. So the September 30-in-30 Painting Challenge hosted by Leslie Saeta has ended and I managed to do 25/30 paintings for the month. That’s not too bad, actually, considering I had a mild art block in the middle of the month and then life happened for a bit there. I really did want to do the full 30 paintings but I’m satisfied with the ones I did complete. Right at the end of the month I tried a new technique that I really enjoyed (“Colorplay”) and I want to explore that further. 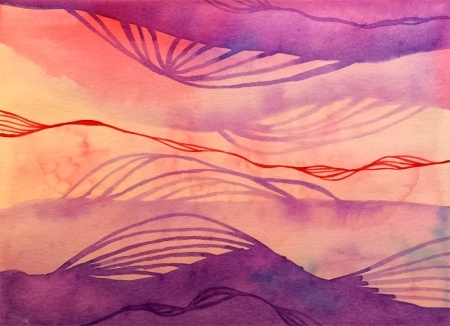 I also did something new with the “Flow” series and plan to play around with that some more, especially if it means I can pull out my metallic/iridescent watercolors again. Those are fun to use. I think overall, I was more focused this time around because I decided to work with a set painting size (4×6 and 5×7) and that let me not worry about the paper so much. 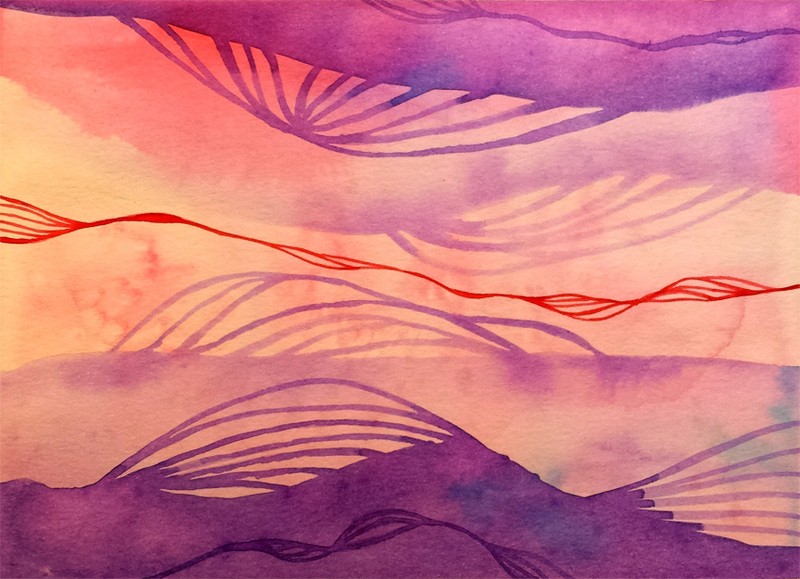 It may seem silly, but sometimes I look at a larger piece of watercolor paper and think “what am I going to do with all this space?” Even with more purely abstract pieces like “flow” or the layered ‘scapes, it’s still hard to fill the space (and that includes negative space) without overwhelming the page or making it seem too busy. It’s a tough balance and I find it easier on smaller canvases. I want to go back to doing (slightly) larger pieces though, so I plan to keep working on that. 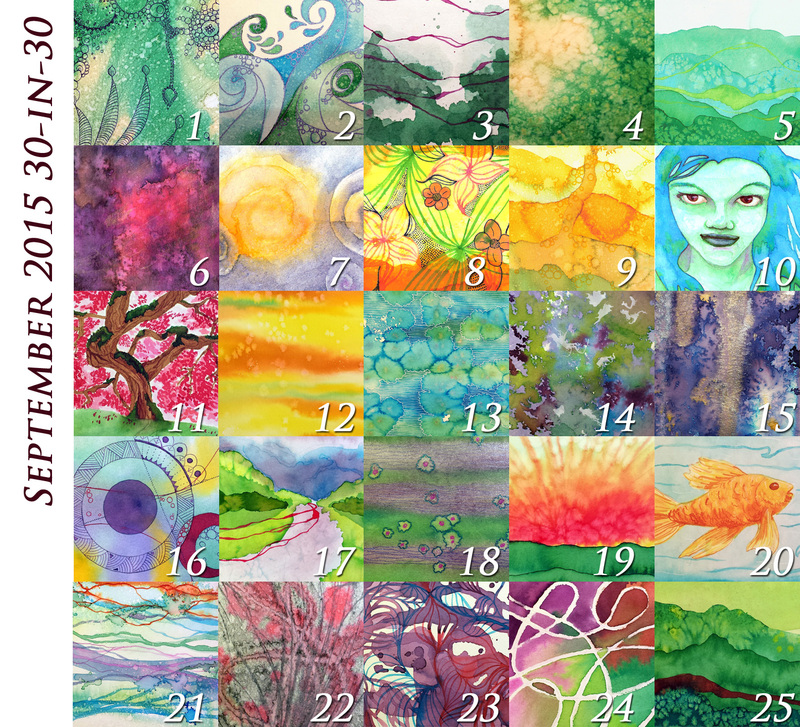 Here’s my collage of the 25 paintings I finished for this challenge. You can also see them on the 30-in-30 Challenges gallery page. I’m looking forward to trying again in January if Leslie hosts another one. In the meantime, I’m debating if I want to jump into INKtober again this year or take a break from trying to do a daily piece of art. I’m tempted because INKtober was what started me down the path of doing daily art and I had fun with it, but on the other hand, I just got off a challenge, so maybe a break? Or I can just do one piece a week, that could work too. 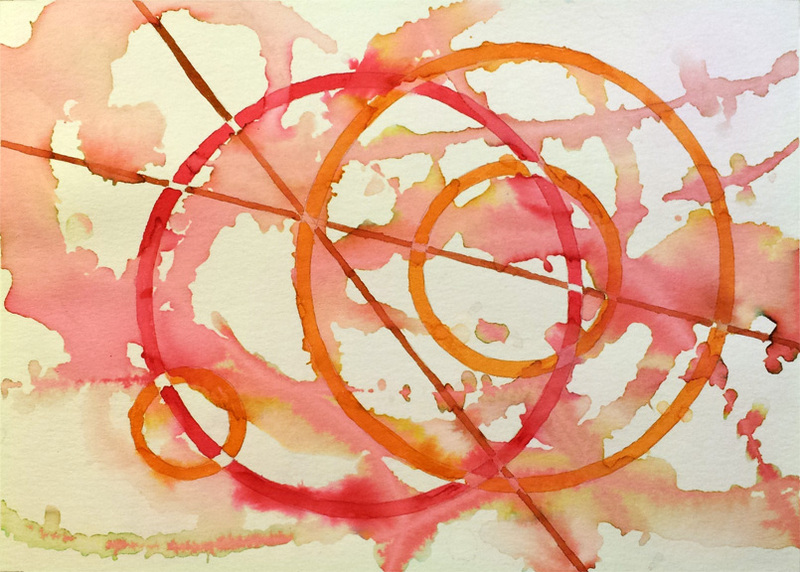 This entry was posted in Art and tagged 30-in-30, Abstract, Ink, Pen, Retro Circles, Sun and Moon, Watercolors on October 3, 2015 by Lori.